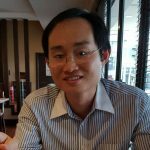 SHAH ALAM, 29 January 2019 – For many of us, we may have heard about blue light and its harmful effects in passing, but do we know enough about it? Blue light is part of the spectrum of visible light, making up approximately one-third of all visible light. In nature, the main source of blue light is sunlight, however, today, the number of indoor man-made sources of blue light is on the rise, such as fluorescent and LED lighting, and display screens on mobile devices, computers and flat screen televisions. Overexposure to blue light has been associated with health problems, such as cataracts, and because too much exposure to blue light can damage light sensitive cells in the retina, it can also cause changes that resemble macular degeneration, which can lead to blindness. In addition, the high energy blue light waves require more effort by the eye to focus, thus contributing to digital eye strain. Exposure to too much blue light at night through screens and indoor lighting may also lead to poor sleep quality, difficulty falling asleep and daytime fatigue. Today, most of us would not be able to live without our devices that emit blue light, so there is a need to better shield our eyes to keep them healthy. To help you do this, BRAND’S® Suntory (Malaysia) Sdn Bhd is introducing its latest addition to the BRAND’S® family – BRAND’S® Lutein Essence, the only health tonic in the market that offers the Diamond formula to protect our eyes from overexposure to blue light. An ideal health supplement to help you overcome the digital eye strain caused by blue light, BRAND’S® Lutein Essence – made from selected patented ingredients, is the only scientifically formulated essence for eye care in the market. BRAND’S® Lutein Essence contains a 10mg:2mg ratio of lutein and zeaxanthin, the two types of carotenoids which form the yellow to red pigments found widely in vegetables and other plants. In nature, lutein and zeaxanthin are able to absorb excess light energy to prevent damage to plants from too much sunlight, especially from blue light. Combining blackcurrant extract with Vitamin E to provide antioxidants, BRAND’S® Lutein Essence enhances the comfort level of the eye. Offered in a liquid formulation to enable easy consumption, your body can absorb its nutrients more easily. Not to mention, its delicious taste will tempt you to drink it regularly. With youths becoming glued to their screens from a young age, they can also benefit from taking BRAND’S® Lutein Essence, which is suitable for even children aged 10 years and above. Manufactured in Taiwan, BRAND’S® Lutein Essence is laboratory-certified free from porcine DNA and ethanol. BRAND’S® Lutein Essence is available at a retail price of RM41 for a pack of six 60ml bottles at key pharmacy chains and hypermarkets. 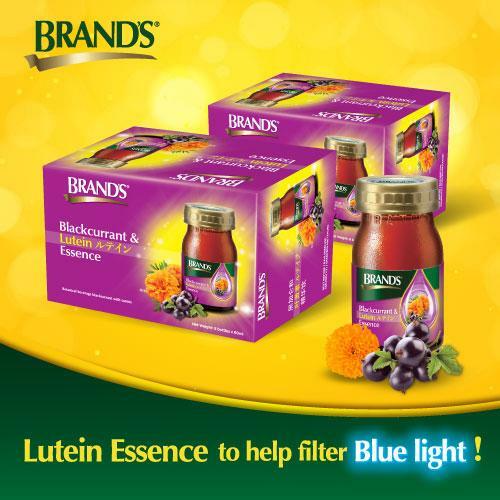 For more information on BRAND’S® Lutein Essence and other BRAND’S® products offered in Malaysia, please visit the BRAND’S® website at www.brandsworld.com.my or call the BRAND’S® customer care line at 1300 228 300.